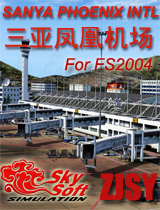 Sanya Phoenix International Airport (ICAO:ZJSY IATA:SYX) locates 14km west of the famous tropical city of Sanya. 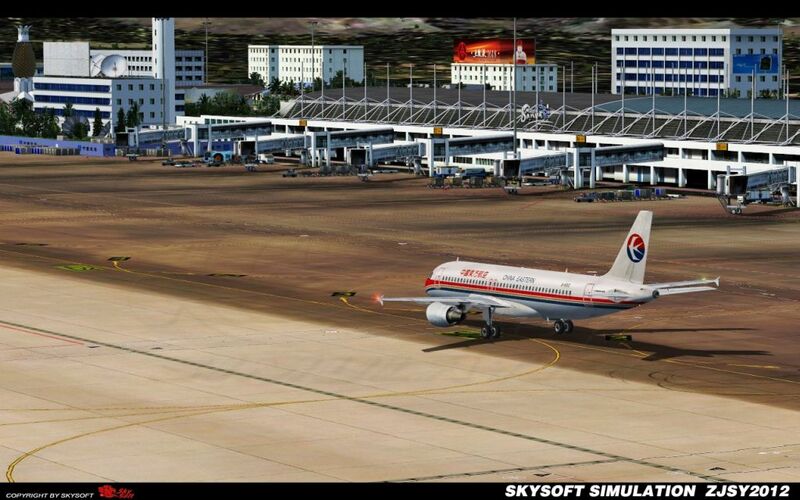 It is the south-most civil aviation airport in PR China. 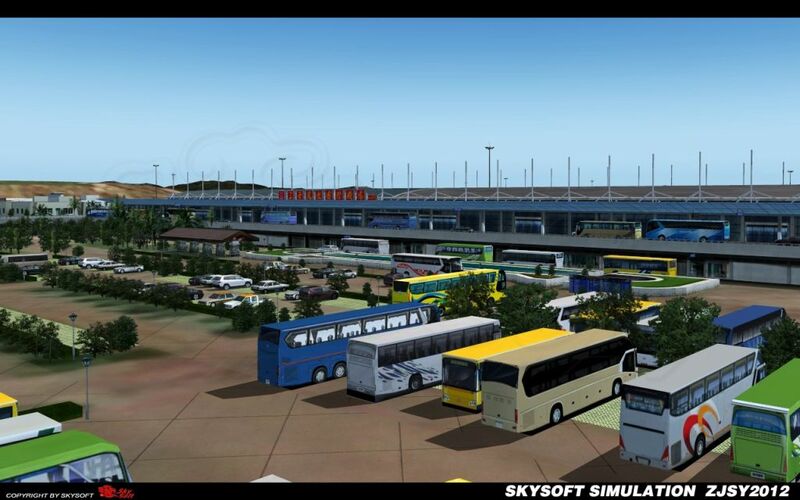 The airport was initially built as a major airport of Hainan Province in 1994. 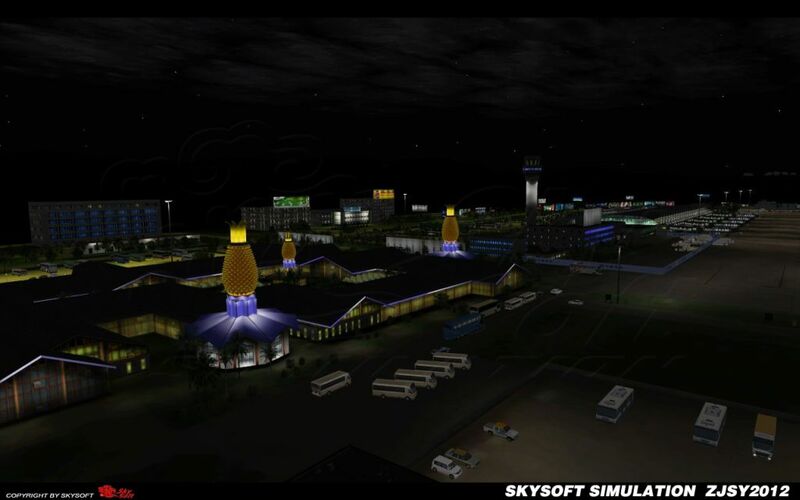 In the year of 2006, the airport was upgraded to handle the sharply increasing passengers. 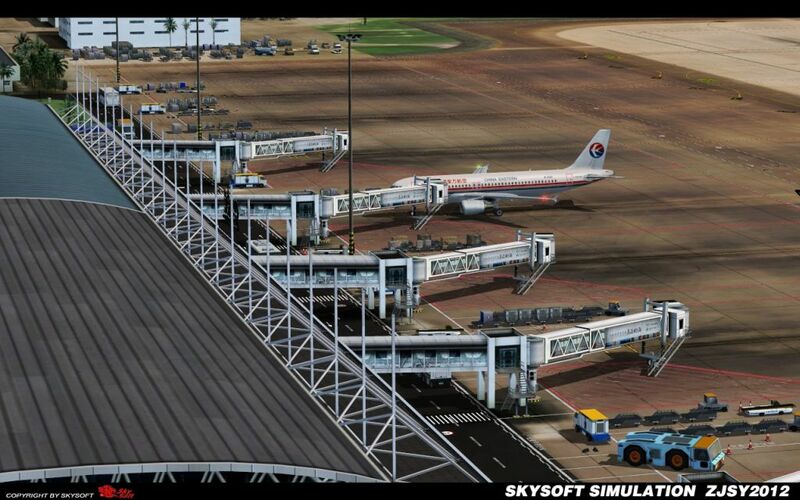 New International Terminal building was built and the aprons are expanded to hold 41 jetliners at the same time. 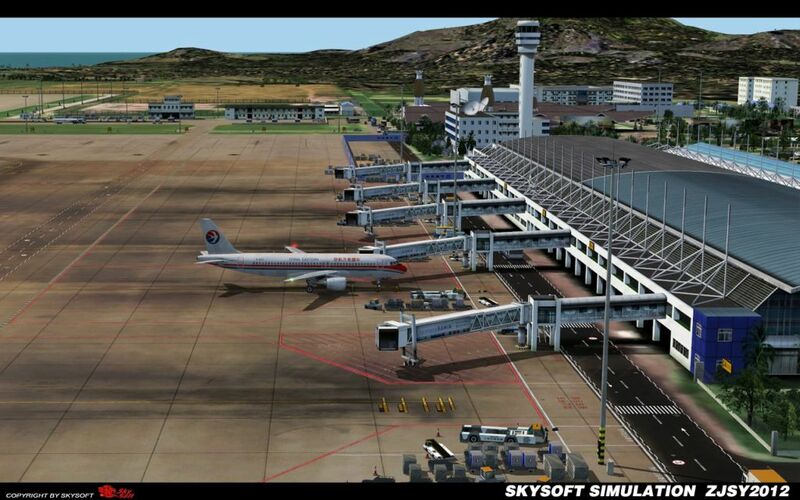 With a runway of 3400 x 60 meters, the airport is now capable of heavy jetliners’ operation. The CAT I approach light system and the CAT II instrument landing system ensure your flight safety in low visibility and at night. 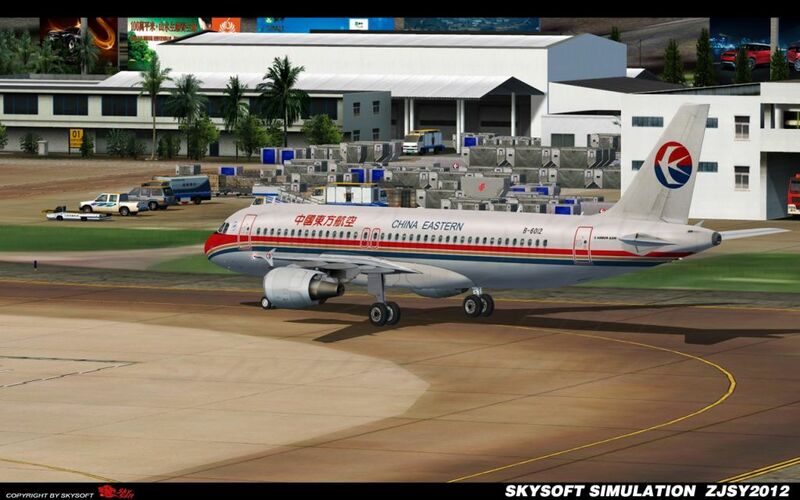 Sanya Phoenix Intl is the hub of China Hainan Airlines. 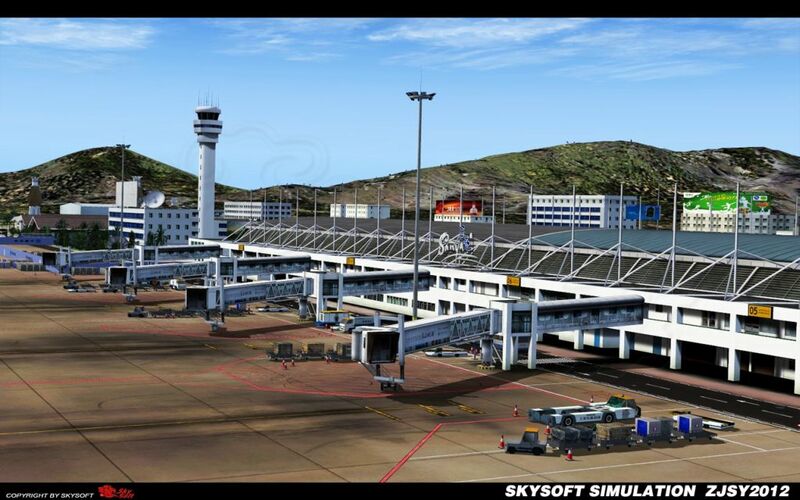 With 168 routes to 62 domestic & 44 international destinations, Sanya Intl handled 10,361,821 passengers, making it the 18th busiest airport in China in terms of passengers, and 24th busiest in terms of movements with 74,392 in 2011. Known for its small size, it plays a vital part in bringing tourists to Sanya. 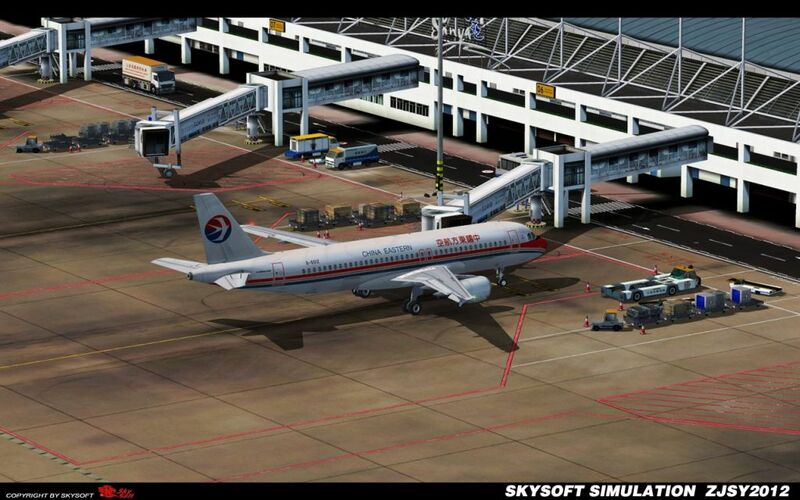 Another Five Stars Scenery add-on from Skysoft Team. 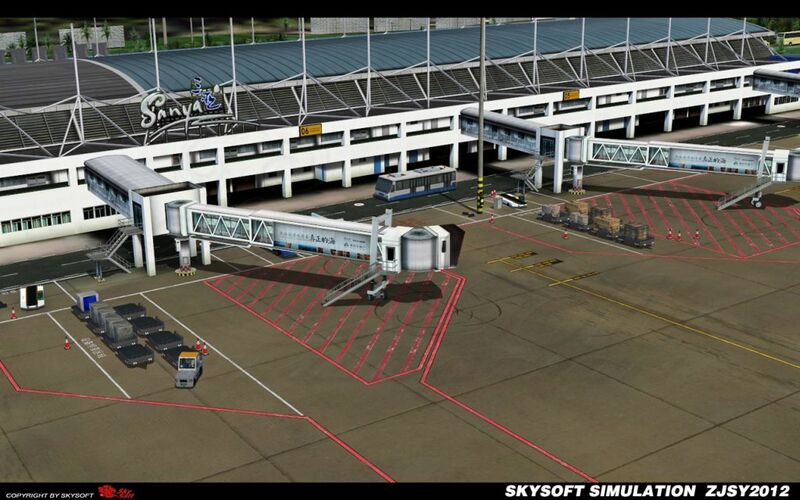 It keeps the same quality as Skysoft Team always have. If you want to have a high standard scenery add-on in China. I highly recommend it for you. I agree with Brian, a great product and definitely worth flying to with great mountainous scenery. As well as no animation it has a small texture problem with the trees - have contacted Skysoft and hopefully they will resolve. With AES and animation I would have given 5 stars. 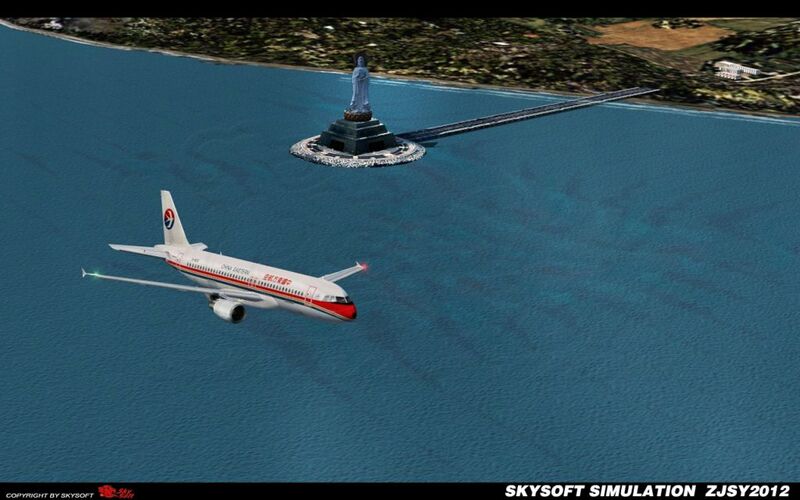 Certainly worth the money though - look forward to when they complete Beijing Capital ZBAA!! 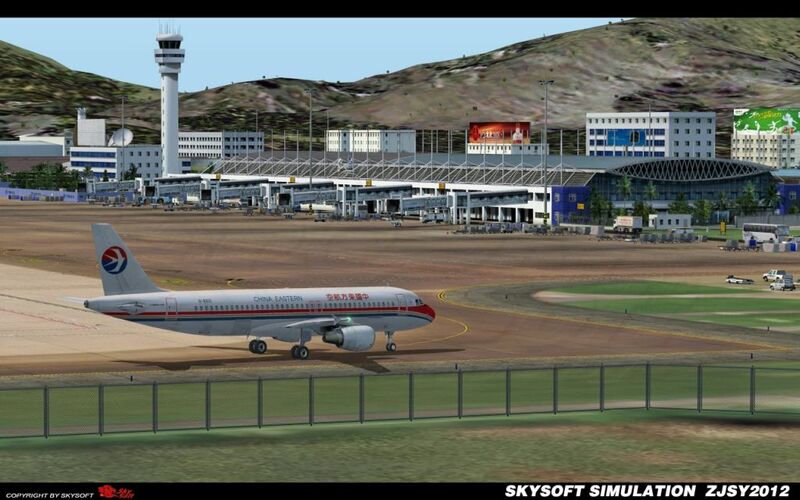 Another wonderful Chinese airport from SkySoft, this one quite unusual being the most Southerly airport in China and what's more on the island of Hainan. The screenshots are self-evident and the only negative is that there is no animation, at all. 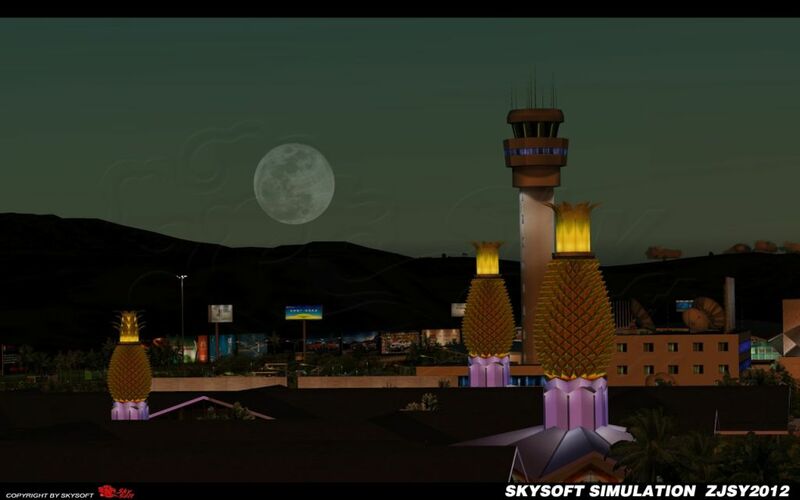 AES support has been requested of Aerosoft but I'm not holding my breath. Price is right too. Warmly recommended. 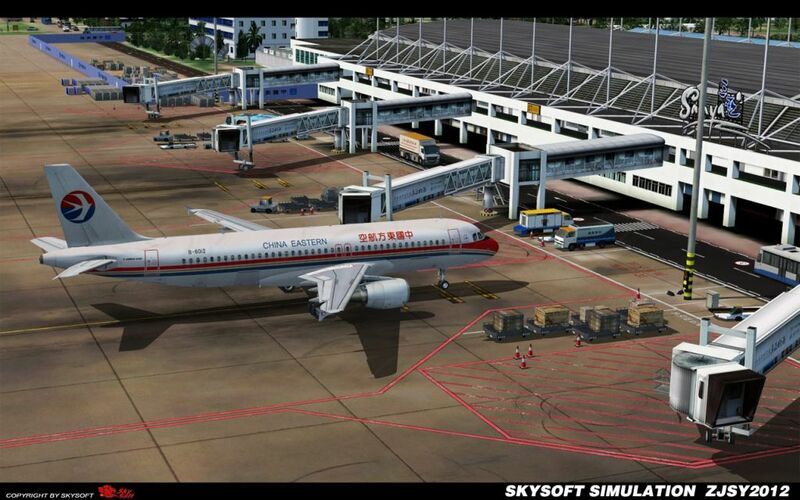 Another wonderful Chinese airport from SkySoft, this one quite unusual being the most Southerly airport in China and what's more on the island of Hainan. The screenshots are self-evident and the only negative is that there is no animation, at all. 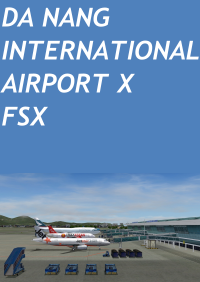 AES support has been requested of Aerosoft but I'm not holding my breath. Price is right too. Warmly recommended.